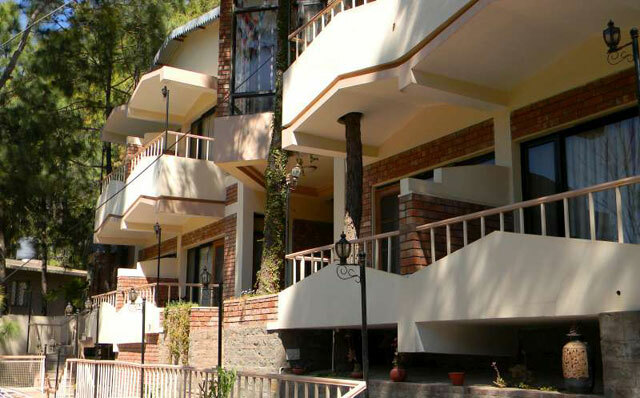 ALPINE HILL RESORT,Alpine Hill Resort,alpine hill resort kasauli,Kasauli Resort is a 3 star deluxe hotel in Kasauli, Himachal. The Alpine Hill Resorts has 08 living room equipped with individual luxury bathroom. Each room being distinctive Yet maintaining a dialogue with nature. Alpine Resort Photo Gallery Click Here..
Natural gradient allows each room Complete privacy yet allows security and harmony of being very much part of other occupants. Spacious living room s include sunny alcove with large size glass windows overlooking green Hills and adorned with bye-windows. living room & sitting room are located off raised foyer and each balcony overlooks Kasauli Hills. Unlike other tourist dwellings AHR is built next to pine forests and has Kms & Kms of jogging/ walking mountain trails away from any sort of traffic. While walking mountain trails brings our view of many neighboring hills including snow capped mountains. The Kasauli club was founded in 1880 as the Kasauli Reading and Assembly Rooms by a group of Englishmen in dire need of company and good cheer. Now it is a lively palace Where most of kasauli gathers during the season. AHR is well connected by metal road from Dharampur and is located 2KM from Garkhal on Jagjit Nagar Road . The magic hour is at sunset offering one of the best views From AHR. The old pine trees which stand outside The Alpine Hills Resort. Also have a busy birdlife with the verditer flycatchers. Spotted doves.whit-cheeked bulbuls and tree-creepers. The Himalayan Barbet. A colorful bird with a perennially shocked look. Calls out here just when the monkey & languor families are gathering for a day-off. Unwinding and ambient surroundings, Pine Trees & hotel's basic-lawn view from room's balcony, Restaurant, Own Parking, Buffet arrangement (* As and when required), Bonfire on demand (Chargeable = INR500), Nearby two nature-walk treks (one kutccha, another pukka), Special Himachali food (* On well before placed demand), Theme Based Beautiful, Neat & Hygienic Rooms, In-room adequate sitting arrangement, Carpeted flooring, Mini Fridge in the Room (Non-Chargeable), Electric Room Heater (Non-Chargeable), Good-night mosquito repellent (Non-Chargeable), Electric Kettle in Room (Non-Chargeable), Two Tea/Coffee Refills for Making Tea (Complimentary), Free Wi-Fi/Internet on reception. Balcony (sub-road and basic-lawn facing) with each room, Satellite channels enabled televisions in all rooms, Very decent and hygienic washrooms, Washrooms have a Glass Separated bathing area, 24 Hour Hot & Cold Water. Kasauli town - 5 Km away, Monkey Point (Hanuman Mandir) 7 Km away,Tiger point 2 Km away (walking trail), Dharampur 8 Km away known for famous dhaba's i.e. Gaini ka Dhaba, Col. Dhaba, Hot Millons, Coffee Café Day, Chawal's, Modern Daba. Cave of Shiva 30 Km from AHR, naturally made cave with Shiv Ling. Kasauli is a small cantonment town in Solan district in the Indian state of Himachal Pradesh. The town is the home of the Kasauli Brewery, which is the highest brewery and distillery in the world. The cantonment was established in 1842 by the British colonial rulers as a hill station. Located 77 km from Shimla, 65 km from Chandigarh and 50 km from Panchkula, it still retains the old world charms and is a throwback to the past. Deluxe Room: Rs.7500/- per couple + 17.42% Tax = Rs.8806/- per couple. Super Deluxe Room: Rs.9500/- per couple + 17.42% Tax = Rs.11155/- per couple. Extra Child: Rs.1500/- per child (5 to 11 years).